It is the Meiji Restoration, and the feudal system separating the classes has ended. By law, the samurai must give up their swords - symbols of their traditional power - but a few still resist the changing times. Many of these that refuse have honed their power and skill in such a way that it would make them a horrible threat in an otherwise, peaceful society. 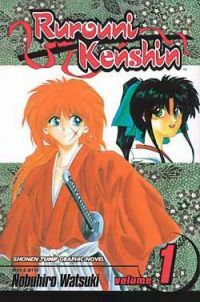 Although... not all that carry a sword carry it with the intent to kill, as the wanderer, Himura Kenshin will show. Using an elite style of swordsmanship known as Hiten Mitsurugi, he wields a reverse-bladed sword and fights to repent for his past, defending the oppressed and aiding those in need - all without killing anyone.